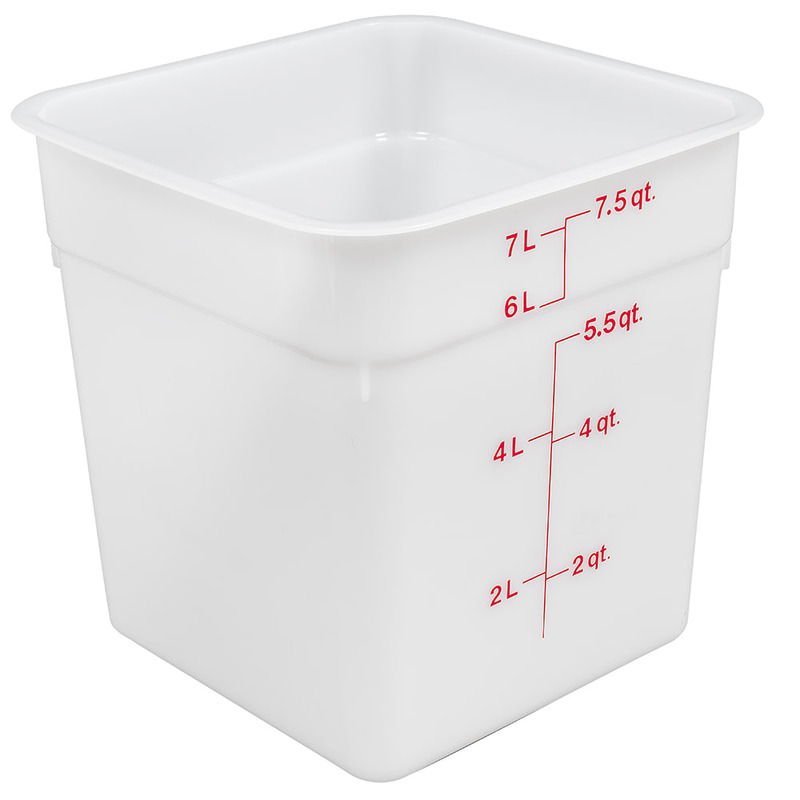 The Cambro 8SFSP148 CamSquare® food container holds 8 quarts of product. Graduation markings make it easy to keep up with product usage. 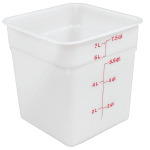 Temperatures from -40 to 160 degrees are withstood by the container.